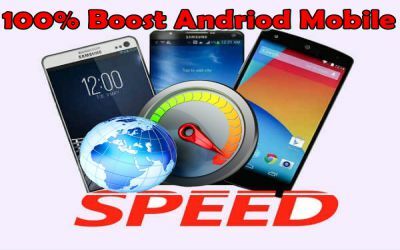 Do you have your smartphone too slow and because of this you are always worried, so today we will tell you some important things that will work for you by our article. Many times we also speed up the speed of the smartphone due to the rubbish of people or say speed is slow. In the beginning, the smartphone runs fine, but over time, the user would realize that his phone is not working fast as before. There may be several reasons behind the slowing of Android smartphones. If you are also troubled by your Android smartphone, then try the sapphire tips described below. The app should install in the phone while viewing the storage. With the presence of a large number of apps, the smartphone can also be slow. After a lot of applications in the phone, when the phone starts slowing down, ask yourself how many of these apps are used by you. It is wise to remove the apps that are not needed by you. It is also worth mentioning here that there are pre-load applications already available in the phone, which can not be removed as desired. In such a way, they should be disabled. There are many live wallpapers available in the Google Play Store. Let's say that a large number of widgets on the live wallpaper and home screens also slow down the smartphone. If you want to save the phone from being slow then keep Naml Wallpaper and the same widget on the home screen that are of your work. Let us know for the information of the people that the cache of the applications which are used repeatedly starts gathering. This may also be a main reason for having a smartphone sloow. In such a case, it is advisable to continue regularly deleting the cache of the app you use most. After clearing the cache whenever the app will be used again, it will begin to re-accumulate. Let's now tell you that the easy way to remove cache. To delete the cache, first go to Settings> Apps. Click the app here to clear the cache. After clicking you have to click on the 'Clear Cache' option. Always remember one thing and that is that if you want to save the phone from slowing down, then it should be 10 to 20 percent of total inbuilt storage available. As you can see in the picture that when the phone starts to finish, the phone starts slowing down in such a situation. It is thus advised that in addition to cleaning the cache, place only those apps which are of your work in the smartphone. If your phone also has low inbuilt storage, then the best option is to move the pictures, music and video files in the internal storage to the MicroSD card. The selected app also has the option to move from the inbuilt storage to the card. To do this, you have to go to Settings> App. For people's information, let's tell you that the phone running on the old Android version is not equipped with this feature. Smartphone's firmware update also offers a variety of improvements in the phone, mainly including Performance Optimization. If you have a complaint from your handset then you should go to settings and check that your phone has not received software updates by the company. To check, go to Settings> System> About> Software Updates. If any software updates are available, then we recommend that you take backup before updating the phone. Let us know for the information of people that animations work primarily between graphical transitions in menus, app drawers and other interface locations. Animations remain active during the smartphone use, they only work to improve the phone experience. If you feel that your smartphone is starting to slow down then close it. It is also worth mentioning that closing them is not an easy task, because this option is often hidden in 'Developers options'. Developer options you will find in settings. In the developer option, you will see all the animations you want, then you can turn them off. Be sure not to tamper with any other option in the developer option.